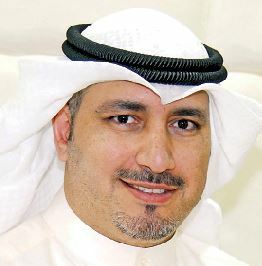 Khalifa Abdullah Al-Ajeel is vice-chairman of the board and chief executive officer of Al-Waseet Financial Business Company. Mr Al-Ajeel is also chairman of the board of the Safat-Tec Holding Company (Kuwait) and is vice-chairman of the board of the Kuwaiti First Investment Company. He also is a board member of the Seera Investment Bank in Bahrain. Mr Al-Ajeel obtained his bachelor’s degree in business administration from the University of Kuwait. He recently expressed his unlimited gratitude to all the employees of Al-Waseet for their commitment and efforts in keeping the company as the leading brokerage firm on the Kuwait Stock Exchange. Mr Al-Ajeel added that Al-Waseet does not only seek leadership in its field, but also aims to raise the bar when it comes to the brokerage business in Kuwait. The company continually strives to change the pattern of trading and expand its international client base. Mr Al-Ajeel detailed some of Al-Waseet’s development highlights as the company maintains its position as the lead brokerage firm of the Kuwait Stock Exchange. Reigning at the top of the pyramid amongst its 14 competitors in terms of performance, quality and revenue is no mean feat. The company has now acquired a 12.5 to 18% market share of the total trading done on the Kuwait Stock Exchange. Al-Waseet has kept its leadership position for the past seven years. Mr Al-Ajeel further explains that Al-Waseet Financial Business Company has gained recognition as an ISO 9001 certified organization for its premier brokerage facilitation and outstanding customer service quality. He also stated that this certification is a testament to the board’s vision to transform Al-Waseet from a traditional local entity to a major international player in the field of financial brokerage. The company has become the centre of a regional brokerage network. Mr Al-Ajeel emphasised Al-Waseet’s continued efforts to diversify its client base and keep up with the latest developments in financial markets both domestic and foreign. Mr Al-Ajeel concluded that Al-Waseet Financial Business Company is fully dedicated to maintaining its competitive edge in the market through the unparalleled quality of services delivered to the company’s clients. Excellence in service is mainly achieved through the efforts of an ethical, professional, and dedicated team that works tirelessly to provide clients with the best brokerage service available anywhere.